The Greening Wingrove Community Interest Company has extended its boundary to include the new Arthur’s Hill ward area and parts of Fenham. The organisation is now officially known as ‘Greening Wingrove and Arthur’s Hill’. It follows changes to local government voting areas last year and means we now cover an area extending all the way from the New Mills Estate on Barrack Road all the way up to Two Ball Lonnen in Fenham. People living in the new Wingrove or Arthur’s Hill wards are able to get involved in our work and stand for election to our board. Residents who sign up as members are also offered first choice on discounts, ticket offers and other items that become available from time to time. Membership is free. The Bike Garden is located in Nuns Moor Park and is an ideal venue for parties, events, workshops, outdoor activities and group meetings. It is available for as little as £10 an hour to local residents and community groups. We will be holding our annual general meeting on Saturday 16 February from 1pm. The meeting will elect new board members and you will be able to learn about what we do and our plans for the future. All welcome. Refreshments and nibbles on offer. The meeting will be at 250 Philip Street in Arthur’s Hill, NE4 5BH. 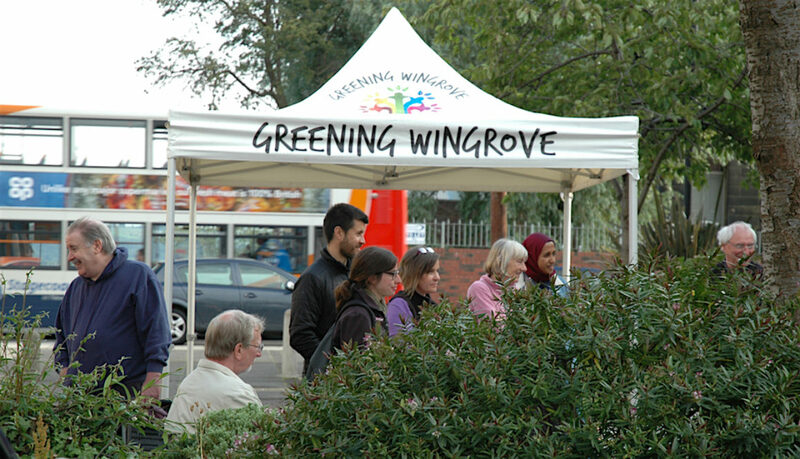 If you are interested in getting involved, email hello@greeningwingrove.uk or apply to become member.